There are times I want to add a drop shadow effect to my images on my storyboards. 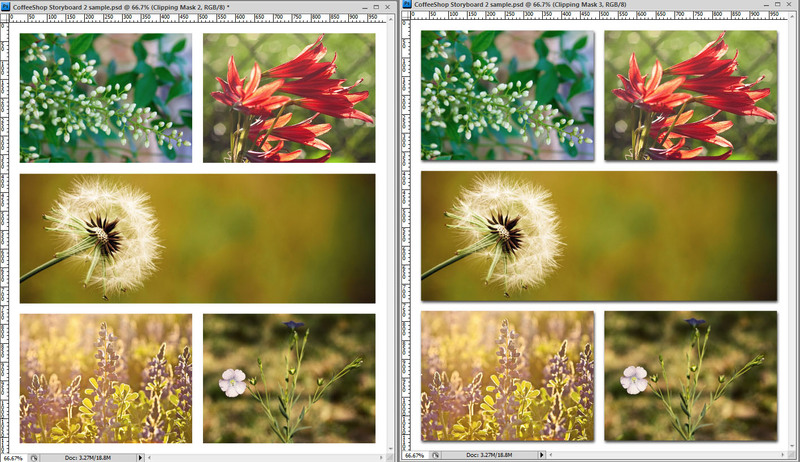 It adds dimension as you can see in the image on the right. (click to see the large image). This is very easy to do in Photoshop and Photoshop Elements. 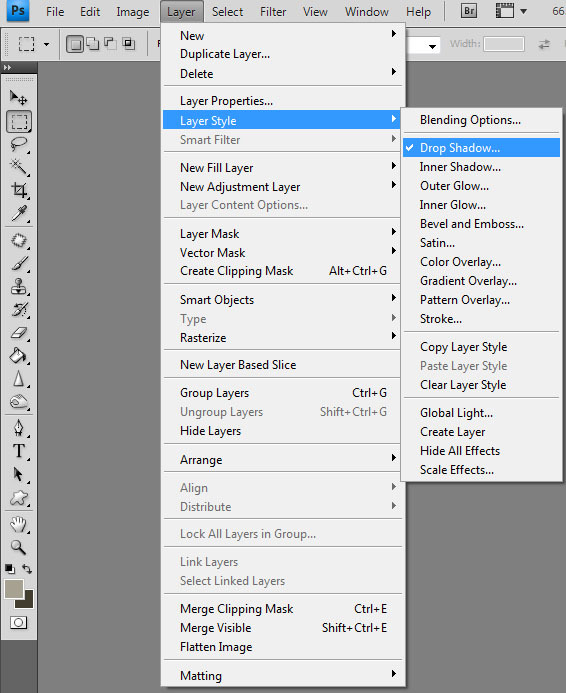 Photoshop: Click to select the clipping mask layer and go to Layer, Layer Style, Drop Shadow. Play around with the settings. 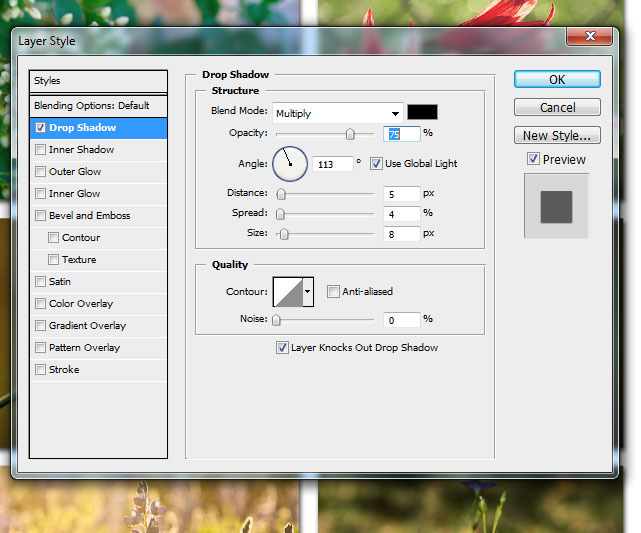 Keep the Blend Mode on Multiply (you can adjust the opacity) and then adjust the angle, distance, spread and size to taste. 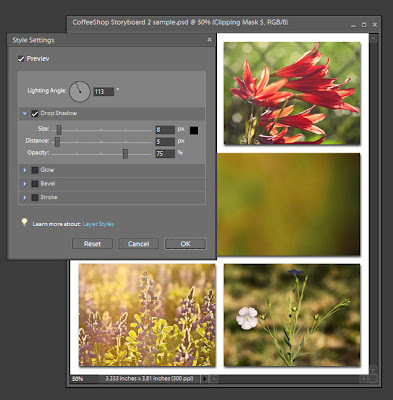 If you want to copy these settings to another clipping mask layer, right-click on the clipping mask layer (after you add the drop shadow) and select Copy Layer Style, right-click on another clipping mask and select Paste Layer Style. 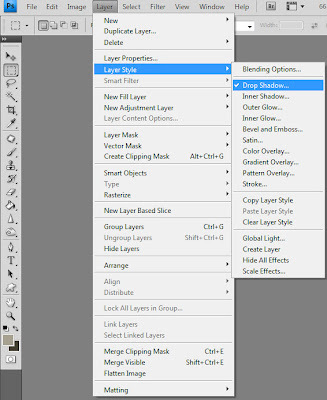 Photoshop Elements: Click to select the clipping mask layer and then click on the Layer Styles button on your Effects Pane, and Drop Shadow on the drop-down menubar and then click on the drop shadow of choice. If you want to adjust the drop shadow, click on the fx button by the clipping mask layer (see above) and then adjust the lighting angle, size, distance and opacity to taste. Very easy! You can use drop shadows on any of my storyboards or frames with clipping masks to have that extra pop. I will be posting the storyboard used in the tutorial for free download on my next post. If you want to add a drop-shadow to one image to make it web-ready (or add a drop-shadow to your finished storyboard), you can download my free Web Drop Show action.